In 2014, 78% of Arizona youth who have reported abusing drugs, reported getting them right out of the homes of family or friends. 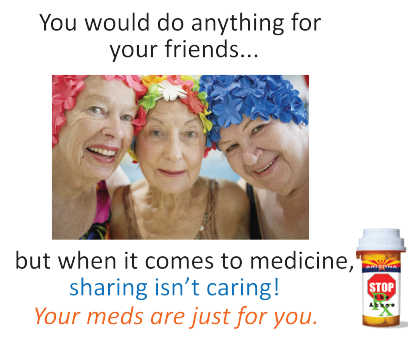 Taking medications from the home is considered to be safer than taking street drugs. But this is not the case and children are ending up in the emergency room. Youth report that adults do not talk to them about prescription drug abuse. Many parents and grandparents have no frame of reference since abusing these types of drugs did not occur when they were young. Small children are also in harm if they can “play” with your containers or become curious and think they might be good tasting. The National Prescription Drug Take Back Day addresses a crucial public safety and public health issue. According to the 2016 National Survey on Drug Use and Health, 6.2 million Americans misused controlled prescription drugs. The study shows that a majority of abused prescription drugs were obtained from family and friends, often from the home medicine cabinet. To learn about this years event, including collection sites, visit The National Prescription Drug Take Back Day Website. 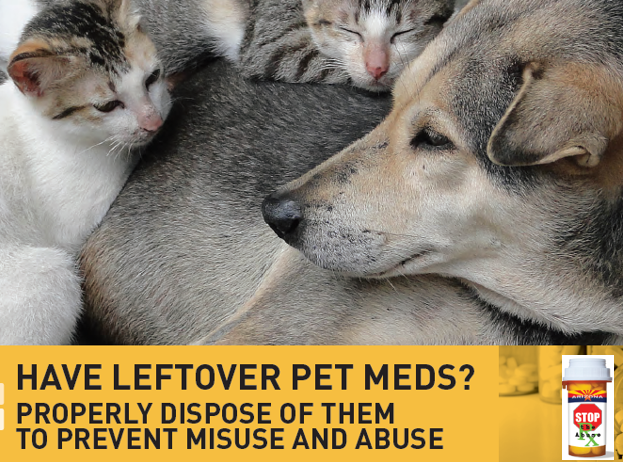 PCOA is partnering with Pima County’s Dispose A Med program to promote locations for dropping off medications. The Dispose A Med program minimizes the introduction of pollutants into our environment and helps ensure high quality water in our aquifers. We’ve put together a list of tips on properly storing your medication.